Plump dates sweeten this yummy toffee pudding. 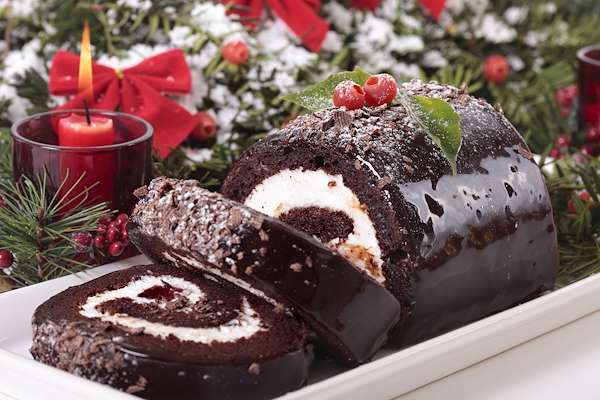 After baking, drizzle the pudding with a tempting caramel glaze infused with brandy. If you want an easy & elegant dessert recipe, this pudding would be perfect. RecipeSavants.com Plump dates sweeten this yummy toffee pudding. 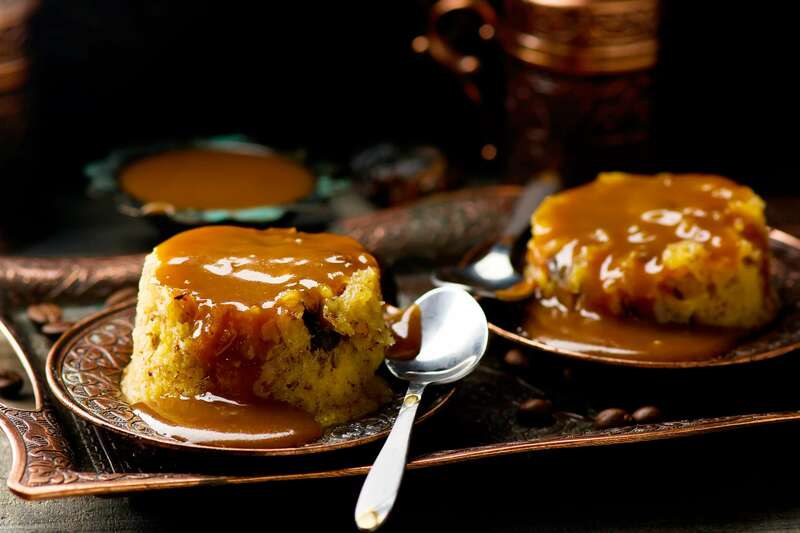 After baking, drizzle the pudding with a tempting caramel glaze infused with brandy. If you want an easy & elegant dessert recipe, this pudding would be perfect. Smart Recipes, American Recipes, Dairy,Eggs Recipes, Recipes Dairy,Eggs American Caramel Toffee Pudding PT1H10M Serves 8 Ingredients: 0.5 Cup Unsalted Butter 1.5 Cups All-Purpose Flour 1.5 Cups Dates 0.25 Cup Water 1 Teaspoon Baking Soda 1 Teaspoon Baking Powder 0.5 Teaspoon Sea Salt 1 Cup Granulated Sugar 1.5 Teaspoons Vanilla Extract 2 Large Eggs 1.25 Cups Light Brown Sugar 0.5 Cup Heavy Cream 1 Teaspoon Brandy Preheat the oven to 350 degrees. Coat the bottom of 8 ramekins with cooking spray, then dust with flour. Set aside. In a medium saucepan over medium-high heat, add dates and 1/4 cup of water and bring to a boil. Remove from heat and stir in baking soda until mixture becomes foamy. Remove from heat and allow to cool. In a large bowl, mix flour, baking powder, and salt. In a stand mixer, add sugar, 1/4 cup of butter & 1 teaspoon vanilla extract and beat until well combined. Add 1 egg and beat until combined. Add half the flour mixture and half the date mixture and beat until incorporated. Repeat with remaining egg, flour mixture and date mixture. . Divide batter among prepared ramekins, filling them 3/4 way full. Bake until puddings are browned and a toothpick stuck in the center comes out clean, about 40-45 minutes. Remove from oven and place on a wire rack to cool for 30 minutes. Carefully invert cooled puddings onto the wire rack. Meanwhile, in a small saucepan over medium-high heat, add remaining butter, brown sugar & cream and bring to a boil while stirring constantly. Boil for 3 minutes while stirring. Remove from heat and stir in brandy and remaining vanilla. In a pan, add remaining 1/4 cup of butter, sugar, and cream over medium heat and bring to a boil, stirring continuously. Boil for about 3 minutes, stirring continuously. Remove from heat and stir in brandy and vanilla extract. Allow sauce to cool for 5 minutes, then drizzle over the puddings and serve. If you enjoyed this easy recipe dessert recipe, you'll love these fresh ideas! This classic chocolate bark makes a beautiful and tasty treat to nosh on during the holidays. 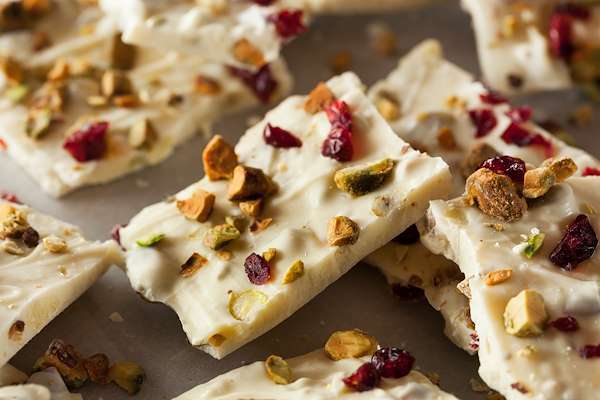 The sweet chocolate pieces are loaded with tart dried cranberries and crunchy pistachios. 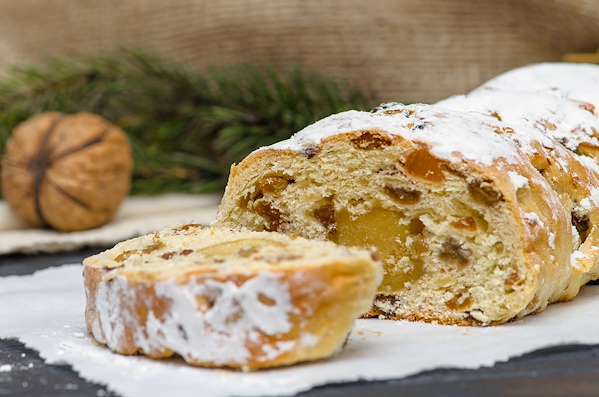 Make a double batch to give to family and friends as gifts.